Atlanta Eco Tree specializes in residential & commercial tree services. We got you covered for emergency tree removal, tree cutting, tree care & maintenance, pruning, & hazardous/dead tree removal. Rated Atlanta's #1 Tree Service Company! We are a professional, licensed & insured, local tree company serving the areas of Sandy Springs, Marietta, Kennesaw, Acworth, and beyond. Our team will work directly with you to provide a reliable & affordable service that you can count on. We pride ourselves on providing the same day assistance for tree removal emergencies. 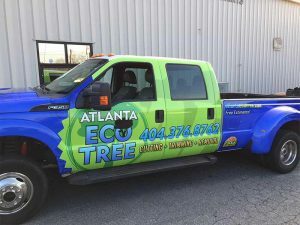 Atlanta Eco tree has over 15 years of combined experience in residential & commercial tree service, including tree pruning, dead tree removal, and emergency tree removal. We are able to maintain our excellent reputation by delivering outstanding results for our customers in the local communities, while respecting the public land and property of our valued customers. We work hard to be the best Atlanta tree service company and provide the best customer service. The crew from Atlanta ECO Tree did a fantastic job! The December storm took a toll on our yard. Two severely damaged trees were removed and they were able to take out broken and dangerous limbs from 8 other mature maple, oak and river birch trees. They were very careful with our landscape and did a great job cleaning up. I feel safe in my yard again! Isaias and his team are great. They took down 3 trees and did a great job. I highly recommend them. One of the trees was in tight spot and they were able to remove it – no problem.